Maho Minami (Shiori Kutsuna) returns to Japan after studying in New York. Her half brother Ryusuke Minami (Hiro Mizushima) is an ultra talented guitarist. Maho & Ryosuke then meet Koyuki (Takeru Sato ), a fellow young teen whom Maho takes interest in. 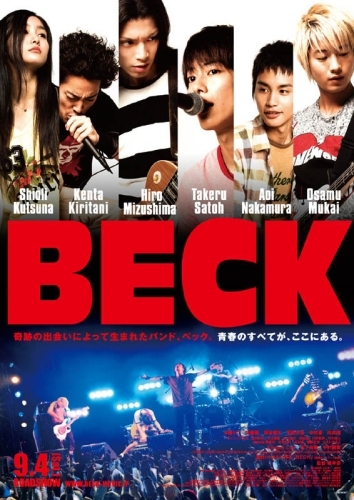 Soon enough, Ryosuke and Koyuki form a 5 piece rock band named 'Beck,' while Maho and Koyuki become involved in a romantic relationship.